Adaptation to climate change impacts has become one of the central concerns of the international development cooperation. 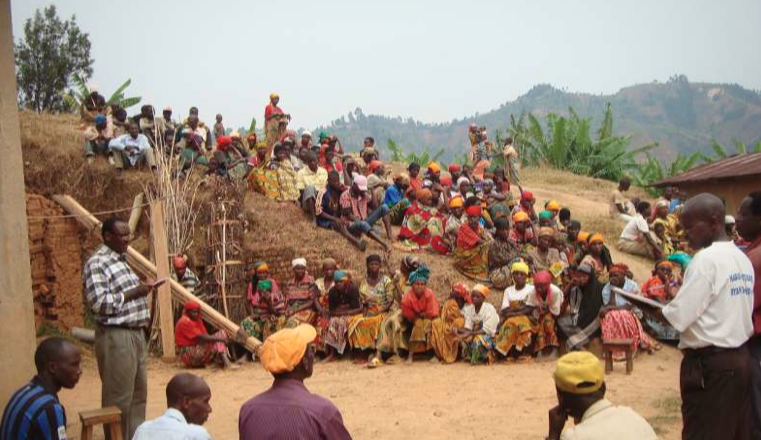 In this context EURAC conducted, together with its project partners adelphi and PIK, an integrated vulnerability assessment on national and local scale in Burundi. The methodology of the vulnerability assessment is based on the Vulnerability Sourcebook project and followed a standardized indicator-based approach to assess climate change vulnerability in developing countries. The project was financed by the GIZ (Gesellschaft für Internationale Zusammenarbeit) and conducted in the framework of the local GIZ-Programme ACCES (Adaptation au changement climatique pour la protection des ressources en eau et sol). The objective of the national vulnerability assessment was to identify the most vulnerable regions to climate change (“hotspots of vulnerability”) in Burundi in order to help determining the zones of intervention for the GIZ project ACCES. In a second step, a local assessment was carried out in three hotspot regions to enable the development and monitoring of appropriate adaptation measures in the zones of intervention. Links to the three different outputs are found below, please note they are written in French. A summary for policy-makers in English and French as well as a link to the Vulnerability Sourcebook can also be found below. The Potsdam Institute for Climate Impact Research addresses crucial scientific questions in the fields of global change, climate impacts and sustainable development.